4 images. 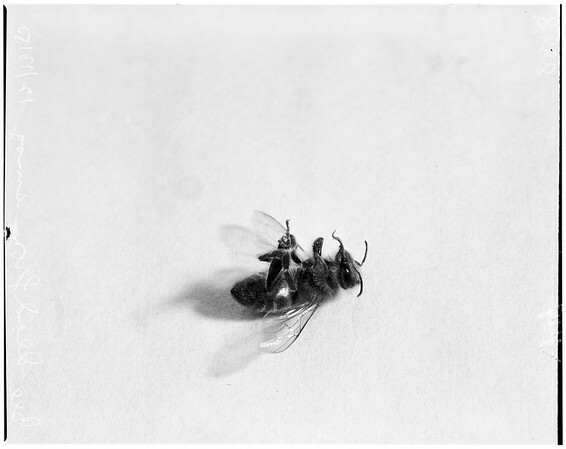 Bees dead from smog, 13 December 1950. Close-up of honey bee casualty from Hollywood smog. (Sleeve reads: 8888 now 9593).